Beautiful townhouse for under $200K! 2 bedroom 2.5 bath townhome in the Whitney Lakes community! Smaller sized complex. Pets allowed. 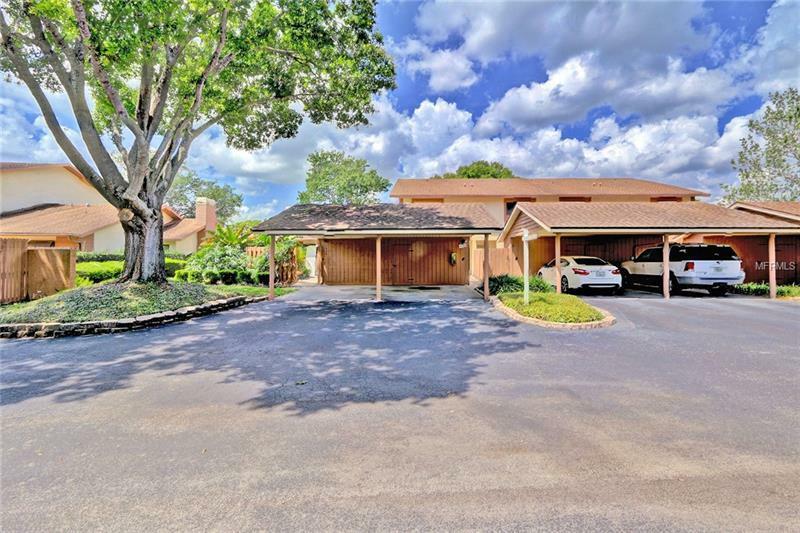 This well maintained unit has a stunning view of the pond and fountain. Well appointed kitchen laminate flooring carpet and ceramic tile throughout. 2 master suite bedrooms with private baths upstairs. The main master suite features a double vanity and shower and a balcony overlooking the pond. Includes a private front patio area each unit has it's own private carport and storage shed as well as indoor laundry space. Downstairs is an additional room that can be used as either a study office or guest bedroom. Half bath downstairs for your guests. Approximately 1431 sq. ft. Quiet neighborhood and complex. 2 screened patios/balconies overlooking the pond. Association takes care of grounds pool and hot tub maintenance and the water sewer and trash bill for a low monthly fee of $208. No flood insurance needed as the home is in flood zone X. Close to US Hwy 19 shopping entertainment and restaurants. Very short drive to the beach! This community has lots to offer! Pet Restrictions: 30 lbs. Verify with HOA.